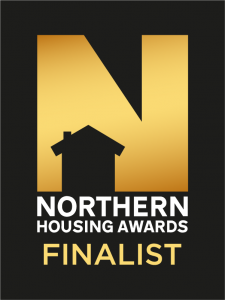 My Space are extremely pleased to have been shortlisted for this year’s Northern Housing Awards, with one of our developments in Bolton being listed in the Supported/Sheltered Category. The development includes seven fully furnished one-bedroom flats which encourage independent living for adults with learning disabilities. Residents are referred by our partners at Bolton Council. It is managed by My Space and includes a staff flat accommodating 24/7 on-site care and support provided by Bolton Cares and one part-time Housing Support Officer from My Space. We are up against some stiff competition from a wide range of our fellow Northern Housing Associations, and will find out if we’ve been successful at an awards night in May. Fingers crossed!